I am a bird defender. Never in a million years would I have guessed that I would also add in squirrel saver to this little list of items. Did I really save a squirrel? I did not. Did I really try? You bet your bottom dollar. 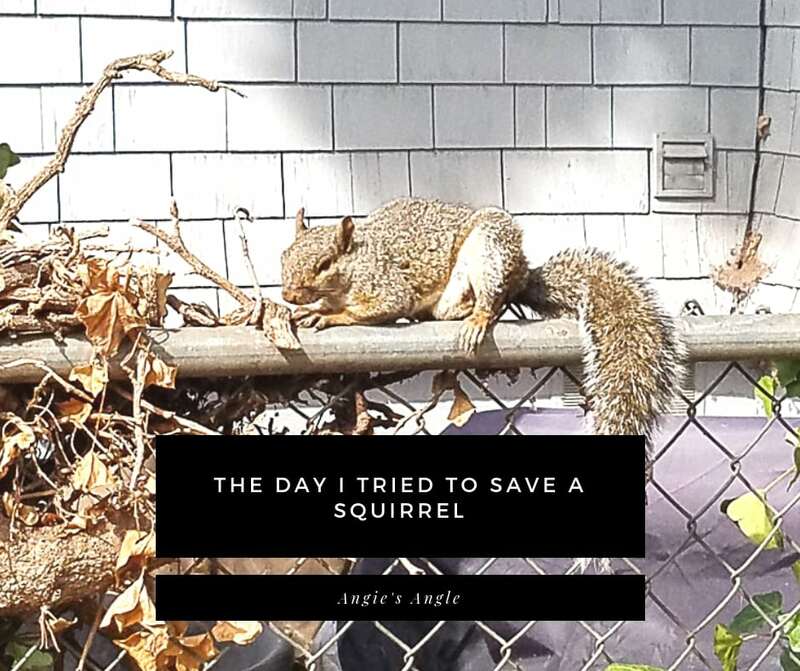 This is my story about the day a squirrel was laying funny and had little get-up and go. Each morning on my route through the house I look out the laundry/pantry room window. Usually, I am looking just to make sure that the shed is still locked and nothing looks out of place. At this time all looked well and I went back to my regular walk through. Sometime later I happened to look out the window again and noticed first a big fat long squirrel tail. Noticing a big fluffy squirrel guy was curled almost into a ball laying against our fence. I watched him for a while from the window and I think I noticed him breathing but am not completely sure. Deciding to slip on my slippers and go out and try to get a bit closer to see what was going on. Knowing that squirrels usually are very active and rarely will you see them just laying there on the ground available to prey. Slowly walking closer I noticed the squirrels head is up and watching me as I got nearer. At some point, though I got a bit to close for comfort and he started scurrying up the fence. 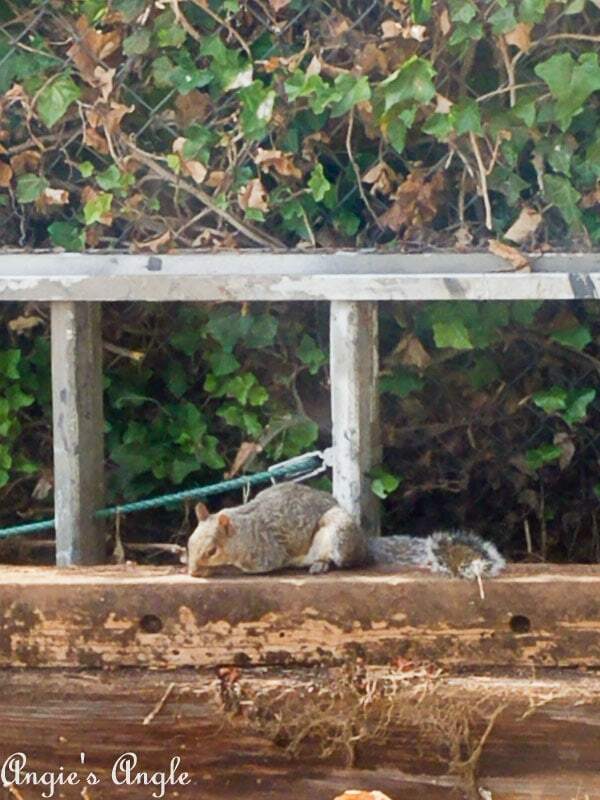 Slowly though, much slower then other squirrels I have seen. He sits on the top of the fence and watches me. He looks okay. Just slower than normal. We watch each other a bit and he stays on top of the fence. Deciding it would be best to go back inside for now and watch him through the window for a bit and see what happens. The next time I look out the window, he is back in the same exact spot when I first spotted him. By this time I am thinking something is seriously wrong. Back and forth I paced to keep taking peeks at him from the window. 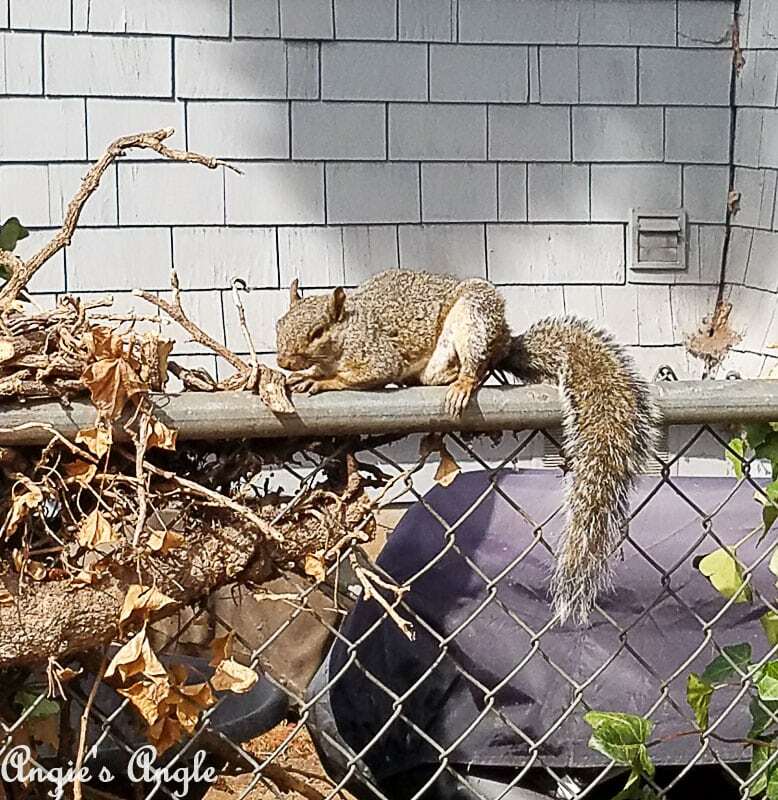 Finally deciding to do a search online and see what I could find about squirrel rescuing, I luck out and find a squirrel refuge right here in Vancouver, Wa. Emailing first to see what happens, I wait about a half hour to an hour to see if I get an answer. I finally get brave and call the number and leave a message. 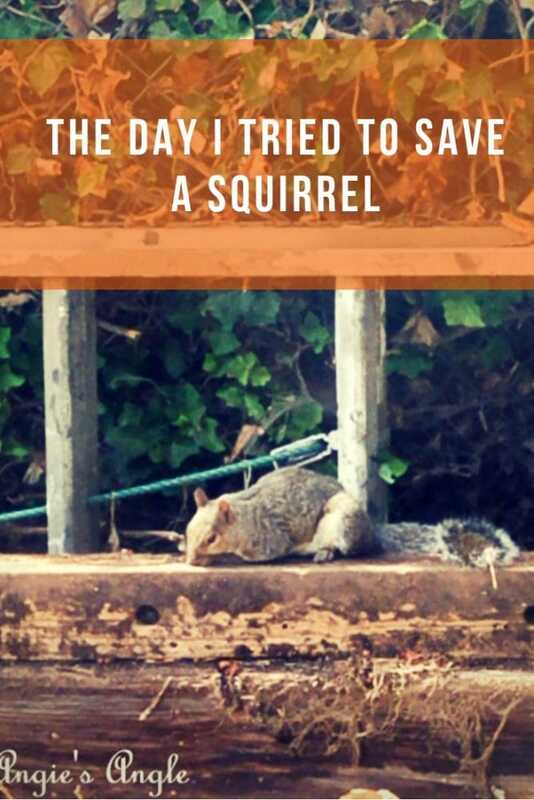 Trying to save a squirrel is hard work. All day I paced back and forth from the living room to the laundry/pantry room to spy on this cute little creature to see where he was at and how he was doing. Looking up in a search what is best to feed a squirrel, I give him a few peanuts first. Once again once I get outside, he scurries up the fence but allowing me just a wee bit closer than the first time. I place the peanuts where he had been nesting the whole morning. 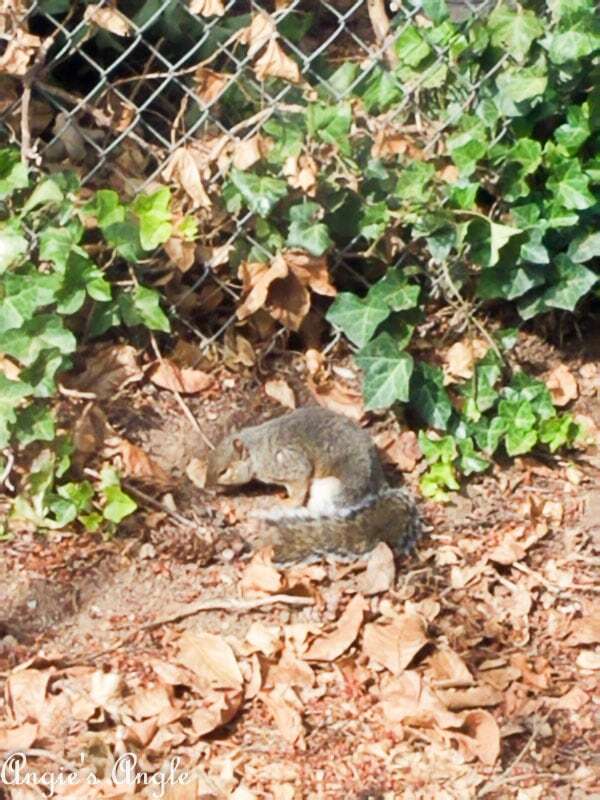 Later I see him eating a few of the nuts and then look like he was gagging a bit. 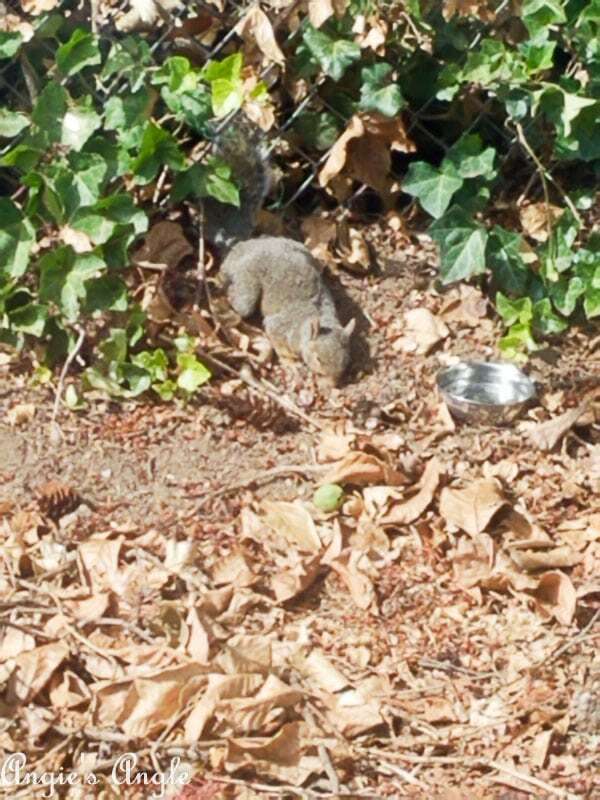 Then the question came into my head, do squirrels need water? Why yes they do! Out with a little dish of water I went and again he slowly scurried away from me. This time he rested at the base of the tree in the neighbor’s yard. Finding a facebook group for the squirrel refuge, I ask to join. A short while later I get approved. A bit after telling my story on there, the main refuge lady calls me back. I tell her what I have observed. She asks me if I could catch him myself and I said no. 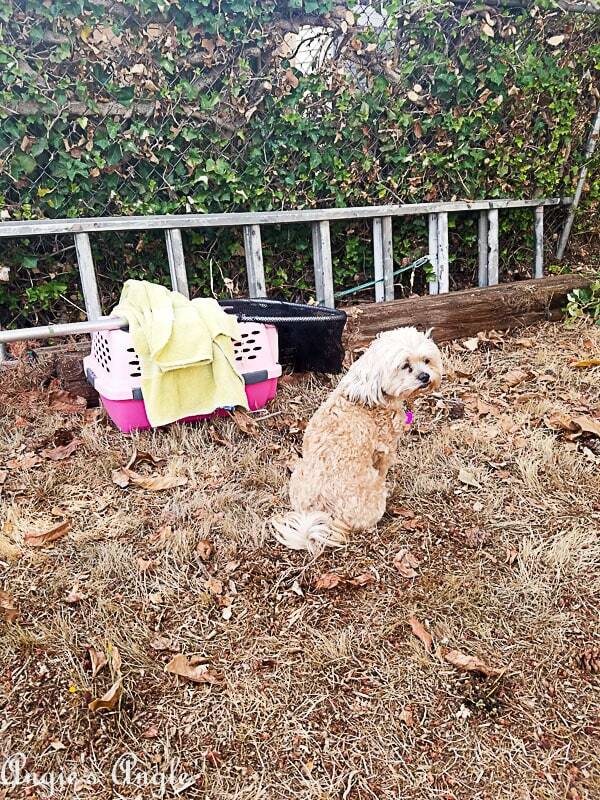 She said she’d reach out to some volunteers that were in my area and they’d get back to me to see about rescuing him today. Waited all day and lost sight of him a couple times with no callbacks. Finally, see him move to our back porch and he is chattering at me a bit and I talk to him and ask why he is yelling at me. He slips up into the roof of our house and finds a nut to eat. Watching him, he sits on the edge of our house for a long time. Getting brave and finally jumped over into the tree. I let the squirrel refuge know that right now there is no point on trying to catch him as he is on the roof. We are outside getting grapes and I looked over and I see him at the base of the neighbor’s tree again. At just that time a volunteer messaged me and asked about my squirrel friend. I excitedly say he is down low again and to help! She says she’ll be right over after she picks up some supplies. Was so excited thinking this little baby was going to get the help it so obviously needed. Wrong!! By the time the lady gets there, he put himself way up into the tree again. She says there were several nests in that tree, so likely he tucked himself in for the night. The wonderful lady gives me all the stuff to catch the squirrel and tells me what to do to see if I can catch him tomorrow if I see him. Being so scared to actually do it but willing to give it a go because I wanted this little guy of mine to get the help he needed. Roxy was happy to take over as squirrel patrol. Happily, Debbie came down in the morning to help me with my squirrel watch. Never once saw him the whole morning and finally, we decided to walk downtown to get us some lunch. When we get back home I spot the squirrel by the shed and I tell Debbie squirrel spotted!!! 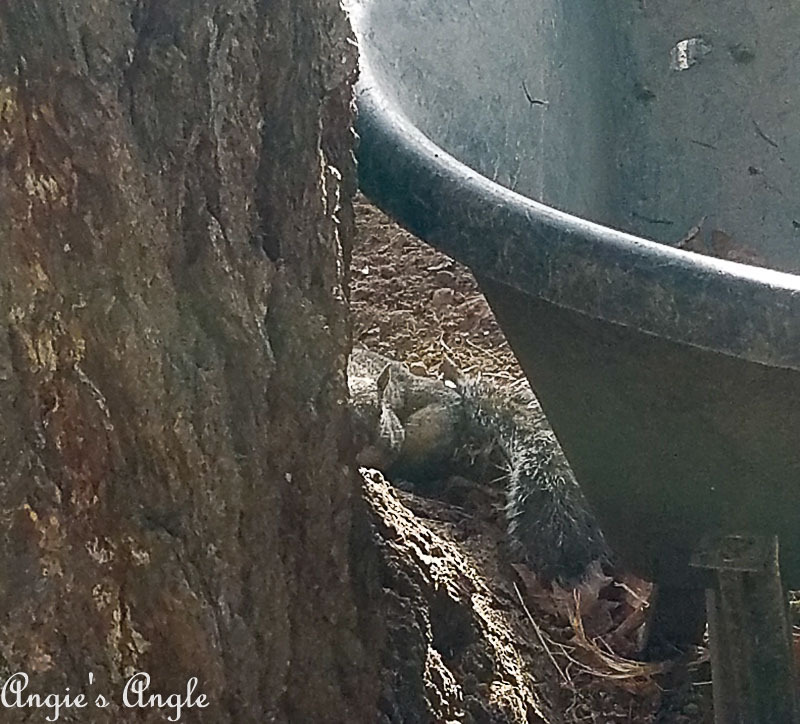 We get out there and try to catch him but he quickly moves into the nook by the shed & fence. Debbie tries to go to the other side and scare him toward me so I could just slip him into the carrier. No such luck, he decides to scurry under our shed instead. That sadly is where our story ends. I have no idea if he passed away under our shed or it was better and that is why he was faster the second day. Tried so hard to save my little squirrel guy and found a wonderful refuge in the process, so that is something. Have you ever had a close encounter with a squirrel or other little wild animal? 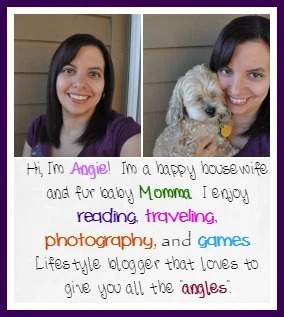 I’d love to hear all about it!